After our trip to the ER during the winter storm, things settled down. My blood pressure was back to normal, the snow was melting, and I looked forward to welcoming our newest addition. My husband was still in North Carolina and planned to be home Wednesday afternoon. At 2:20am, Wednesday morning, I woke up with contractions. I always go into labor in the early morning hours, so things were typical so far. I don’t time contractions until they become intense enough that I have to moan or breathe through them, but they were real, and I was having a baby! At 5:05, I knew they weren’t stopping so decided to do some laundry and take care of a few things. I love crawling into a clean bed after birth, so that was on the top of my priority list. As soon as I stepped into the laundry room, I felt something odd and wondered, what is that?! My water broke! My water has never broken on its own, so I was excited and scared. In fact my water is usually broken by the doctor or the midwife, because I generally have a bulging bag that slows down labor during transition. Once my water is broken, I have a baby very quickly. I’ve always wanted my water to break on its own but because it had, I wondered how far along I was! Had I been dilating all this time?! Was this going to be a super quick and easy birth?! I started shaking and trembling as I realized I may be closer to having a baby than I realized. So, excited me called the midwife! It was so good to hear my midwife’s voice. I texted a friend (who is also a midwife) and they came over with the birth pool, supplies, and we were ready to birth a baby! After checking me, I was only 2 1/2 cm. dilated. What?!?! I was aware of the time constraints when having a home birth, especially since I have long labors. As I was already in labor when my water broke, we felt confident there wouldn’t be an issue. My blood pressure was still good, and the baby sounded great. Since I was so early in labor, the midwives went home, and I started going about my day, still contracting. I called my husband who rushed to the airport, hoping to get an earlier flight. None were available. He and I texted each other as he could and things seemed to be going according to plan. But around lunch time, the contractions spaced out. The midwife suggested seeing if my toddler would nurse. He excitedly said he was interested but then said, “Num nums broke.” Ah well. So we tried some other things. I sat on the ball. I drank Red Raspberry Leaf Tea. I tried the pump. The intensity picked up but they weren’t labor contractions any longer. Meanwhile, my husband texted me from the Atlanta airport, “I’m on the plane and will be home in two hours.” YAY!! Oh this made me happy! So as my husband awaited his next flight, I continued to do whatever I could to keep things going, and tried to stay calm. I felt relieved but wanted my husband after such an ordeal among visiting the ER a couple of nights earlier, having what felt like a stalled labor with my water broken, and knowing that I had 18 hours after ruptured membranes to have a home birth. At this point, I only had 8 hours left–plenty of time if the contractions picked up again. But then the inevitable happened. I didn’t have the heart to reply. After two flights gone awry, my husband was stuck in Atlanta, awaiting news of another plane, and I was discouraged. An hour or so later, I felt tired but also nauseated with chills. I texted my midwife to tell her I was going to take a nap and she suggested I take my temperature first. No fever but after checking my blood pressure, it was jumping up again. While this was likely due to stress, she didn’t feel comfortable giving me herbs to augment labor with my blood pressure getting wonky. 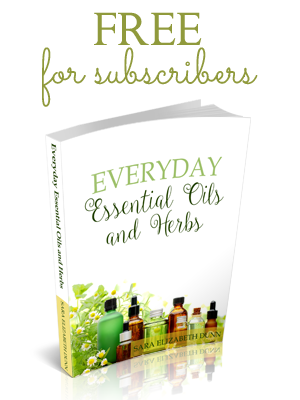 I was pleased because as an Herbalist, I didn’t feel comfortable taking the herbs. I’ve studied them and know how they work. If I had problems, we could have some serious issues. We both felt that I needed to go into a hospital to get assessed. As it turned out, my husband got the last flight out of Atlanta! Everyone behind him got hotel vouchers! He was only a couple of hours away! Yes it was hard to walk away from my bedroom, the birth pool, and my hope of another home birth, and I did cry. But I chose my midwife because I trusted that when she said it was time to go in, I knew I needed to. It wasn’t missing out on the “home birth” that hit me hard–it was knowing that for whatever reason, my body wasn’t responding as it had in the past, and that I would need interventions and monitoring. By this point, I felt I should already have my baby in my arms, nursing, and tucked into bed, but instead I was preparing to head to a hospital. During this entire pregnancy, I had concerns. While the baby always seemed great, I had a few rocky moments and prayed that if I needed to go to the hospital to have the baby, that the option to home birth would be taken from me. While the stress of my husband being away may have been instrumental in stalling labor, I think there was a reason why my water broke on its own that morning. If my water hadn’t broken, we would’ve continued laboring at home until the birth or until an emergency arose. As if labor so far was nothing as I expected, the night ahead would throw me even more. I gave birth to my 6th the end of January. Everything was weird about this labor for me too. I had to be induced at 37 weeks and my husband was home, very very sick with the flu when I went to the hospital to be induced. Can’t wait to read the rest of your story to see how it worked out! I’m just reading it and feeling your pain!!! Thanks for visiting. 🙂 I hope your birth was great and that your family is enjoying your newest. 🙂 My little ones love having their baby sister. Haha. 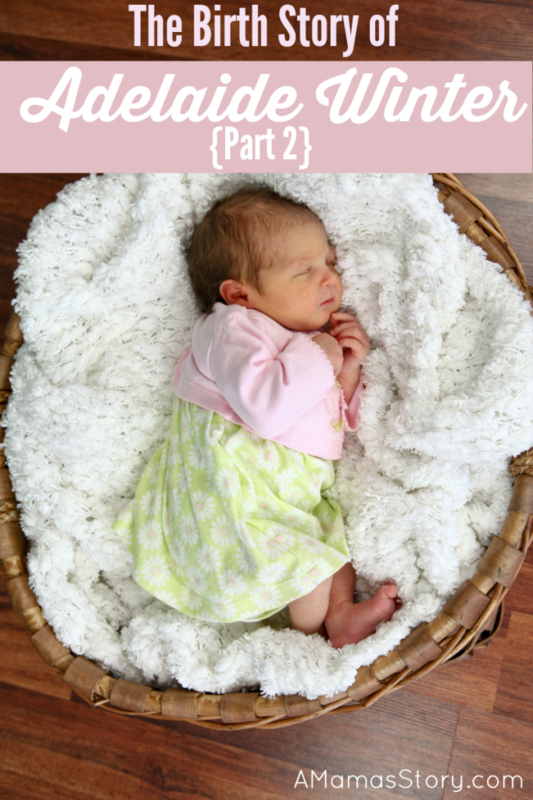 I didn’t intend to write so many, but the birth story is soooooo long! At this point I’m wondering if there will be 5 parts! Part 3 will include the birth though, so YAY!! It’s like a dramatic saga…can’t wait to read the rest. I too have long labors. I too have had almost all homebirths, but number seven was different for me. my water broke and we ended up in the hospital and a C-section. We almost lost him. But he is now a bouncing baby boy and 5 months old. Aside from the fact your husband was gone, my Nov. birth this last year was very similar. Oh and we had threating snow and it was the week of thanksgiving with my folks out of town and hard to find someone to watch the other 6 kids. Wow! You sound like yours was an adventure, too! I’m glad your little one made it through and is doing well. I had decided that I wouldn’t read anything until the last ‘chapter’ was posted, and then i would read from beginning to end. Tonight I thought I’d go ahead and read the first two parts, because I thought a birth story would be a sweet way to end my day. The only problem with that plan is now I feel like I’m in the middle of a good book — one that I would give up sleep to finish reading! I had 3 strange pregnancies. I lost the twin to my daughter by absorption and the twin to my youngest son. My daughter was born about 4 weeks late and both of my boys were born early. My oldest son at 8 months and my youngest by 2 months. Both had problems after birth. All 3 of my children are now grown and wonderful young woman and men. Your baby looks like she will be a wonderful young woman when she is grown. Nooooo! I want to hear how it ends! I’m 75 and my babies were born 40+ years ago. Many things are very different but some are exact ly the same. The explosive understanding of God’s love that comes with each experience of motherhood is peacefully overwhelming. Just the memory after shall of these years makes me happily weepy. Can’t wait to read on.